We are a part of a universe, as we call it, wherein there are innumerable thoughts in our mind, questions that run through to seek answers, beliefs that are nothing more than a perspective and above of them is the fear, or whatever adjective you would like to choose, of the unknown. We as humans are as strong as our fears and as existent as our confinements, we are a developed race as compared to the other living forms in the universe. While our universe of knowing limits us to what we have experienced either in the form of reading, hearing, seeing or just simple beliefs. We think, we know everything, but do we? I recently read the book The Things We Don't Know written by Tarun Betala who makes an attempt to answer a few questions that have been existing since over 6000 years and six different civilizations, and as the tagline says, "How mankind found answers to some of life's most pressing questions". The entire narration of the book revolves around human evolution and the factors that have affected this evolution in either way. The Things We Don't Know is a less of a book and more of an essay that you would like to just read through and through since it is devoid of any twist or turns like a fiction or semi-fiction book. The questions that the author asks himself in the course of the book vary from progression of communication from letter to epics, the growth of education and the exchange of the same across various continents, the expansion of religion, the appreciation of art, the cross cultural commerce and the advancement of science among many other aspects like philosophy, intellect and overall history. If you had the questions similar to the author, but were either lazy to find answers or couldn't find them, then is a going to be a great read. Curiosity will not kill your time this time rather it will present you interesting facts and probable perspectives to those questions. Are you wondering what kind of questions are discussed? *High - Five* The attribute of curious suits you. A few questions discussed range from God and its existence, Life and its purpose, Philosophy and its importance, Education and its expansion, Mankind and its development! Considering that the book, The Things We Don't Know, is a non-fiction that falls under History and Society, you would expect it to be factually correct, but that may be not be the case as it is a narrative from the research that the author has done and has presented the same in written format. 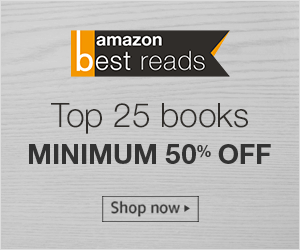 Though the book is about religion, education, evolution, but the undertone of the book is positive outlook that covers human psychology, beliefs, successes and failures over a period of time. 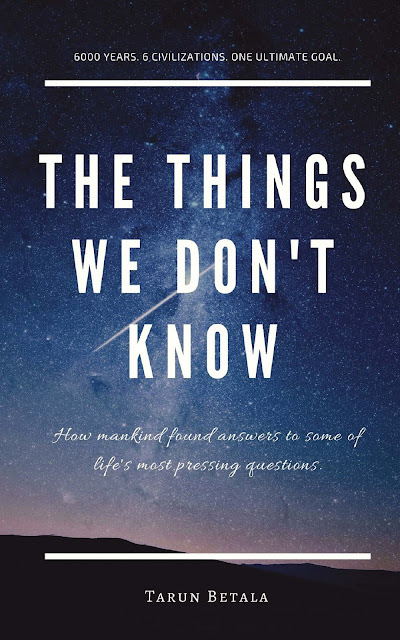 The topics rather the questions discussed in the book, The Things We Don't Know, may be complex, but the language used by the author is simple and appears uninfluenced from the present perspective of the past. There is clarity and thought provoking presentation for the most of how's, why's and the when's. I would recommend this book to anyone interested in reading a history, sociology or with the human kind. Ok, the concept looks interesting. Will get a copy. Hope the thoughts aren't repetitive. Hi Misha, do share your thoughts about the book after you have read it.